Buck Endeavor Fixed Blade Camping Knife | BUDK.com - Knives & Swords At The Lowest Prices! 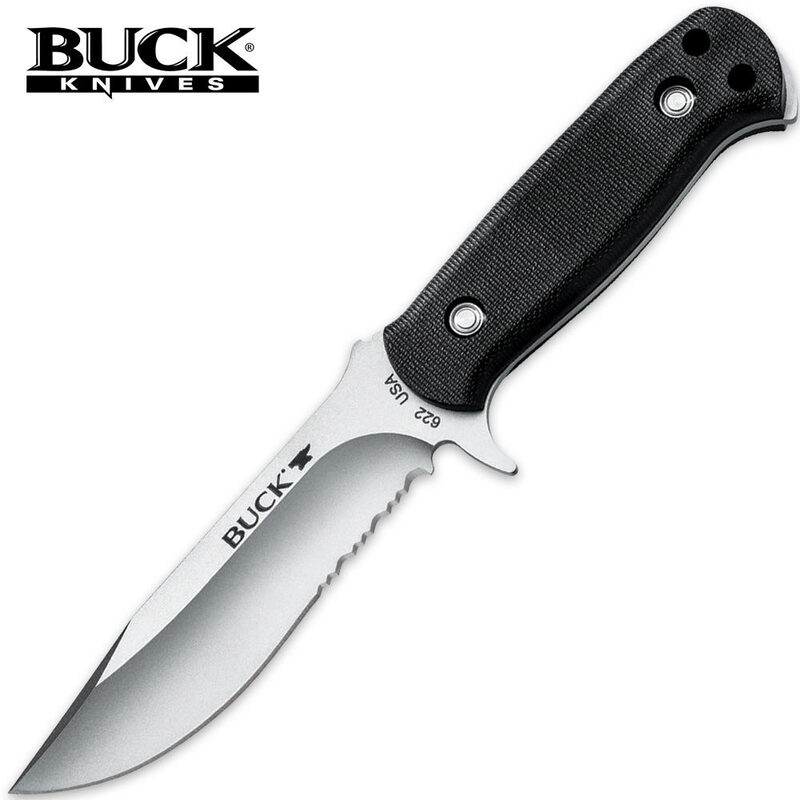 Whether you're camping, hunting or sampling seeking a premium quality fixed-blade knife, the popular Endeavor from Buck Knives is your solution. From the razor-sharp, partially serrated 420HC stainless steel blade to the non-slip injection molded handle, the quality of this fixed-blade knife is unsurpassed. Made in the U.S.A.
Just recieved my buck endeavor today and very happy with this purchase knife came sharp out of the box typical buck knife quality at a budk price. Sheath is well made with a plastic insert inside to help protect the blade I like that, Handle is a polymar at fits my hand well. Overall this buck is a well made piece cant wait to use it this hunting season thanks budk for the fair price and fast shipping. I am very happy with this blade. It came out of the box razor sharp. It is big enuf to do my everyday jobs, and small enuf to keep on me at all times with out getting funny looks from people. I would recommend this knif to any who likes and needs a quietly blade. I have not had the chance to use it out in the woods as of yet. But for city live and any cutting that may come along in day to day life it is very good. The blade runs all the way down in to the handle none of that cheap stuff that you may find where you have a nice bade then you take off the handle and you find all that holds it together is a thin peace of tin. So over all yes if u have the need for a good blade give this one a try. I hope this has been helpful to someone out there. Once agan please be careful it is sharp so keep out of reach of children and people who should not have sharp things.